NRG Systems, a designer and manufacturer of smart sensor technologies, has appointed Barry Logue as the company’s lidar wind energy solutions manager. 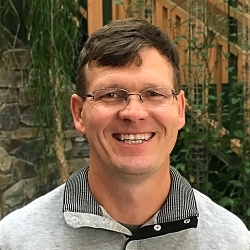 Logue, a veteran in the remote sensing space, will be responsible for all sales and account management for NRG’s lidar products and services in North America. Logue previously served as the global applications manager for Vaisala as well as the director of sales at Second Wind, where he helped establish new applications for remote sensing in wind resource assessment as well as operational data reporting. As a member of both US and international standards committees, Logue played a pivotal role in the release of new best practice and formal standards for remote sensing devices in wind energy applications encompassing the entire wind farm lifecycle. He earned his MBA from Suffolk University in Boston, Massachusetts, and has a BS in aerospace engineering from Boston University. “I was impressed by the dedication and commitment NRG Systems has to the renewable energy industry, and the impact the company has had, and will continue to have, on our global and individual well-being,” said Logue. NRG Systems has supplied lidar technology since 2009, thanks to its partnership with Leosphere. The global joint venture aims to expand the use of remote sensing in the wind energy industry and, most recently, in meteorology.